Sleep healthy with the assurance of our 100% dry and chemical safe technology. 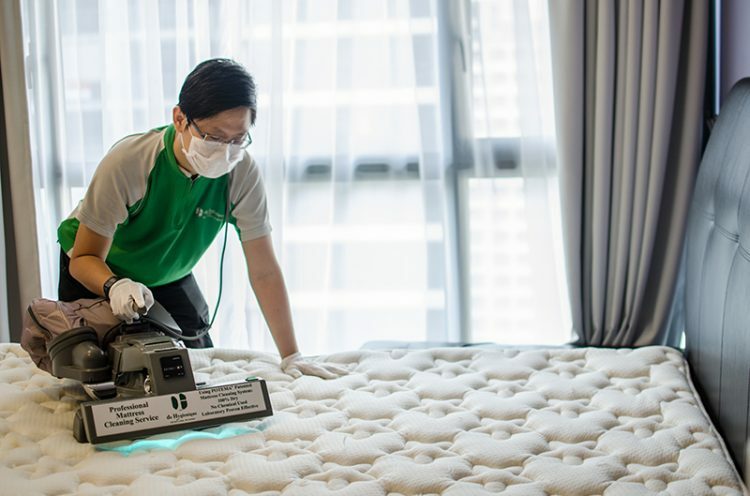 De Hygienique’s Mattress Cleaning Treatment in Singapore was among the first professional mattress cleaning service to be offered in Asia when we launched the service in 2003. We are the first company in Asia to clean mattress using a 100% dry and chemical safe mattress cleaning technology, originated from Europe and is manufactured by the world’s original mattress cleaning technology inventor. It is important to keep our mattress clean and hygienic as we spend 1/3 of our time on the bed. Ironically, dust and dust mites are mostly found within the mattress and is one of the dirtiest furniture in a home, but many people are not aware of the problem because our mattress is always nicely covered by bed linen. The mattress makes an ideal breeding ground for dust mites because the mattress is warm, humid and collects high amount of human’s dead skin flakes that are shed every night when we sleep. Besides dust mites and dust, the mattress also contains our body fluid residue, bacteria, and other micro organisms. Not a pleasant discovery about your mattress right? To maintain good bedroom hygiene, you mattress requires regular cleaning to rid those irking particles accumulated in the mattress, but not with shampoo and water. Leading mattress manufacturers in the world do not recommend cleaning your mattress with moisture and chemical as they can damage the mattress comfort and upholstery material. 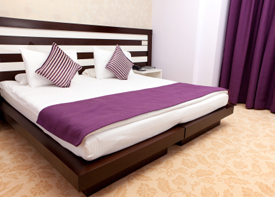 Vacuuming your mattress regularly is advisable by mattress manufacturers to remove dirt particles in the mattress but leave the thorough mattress cleaning job to the professionals who are equipped with approved mattress cleaning products and correct cleaning techniques. 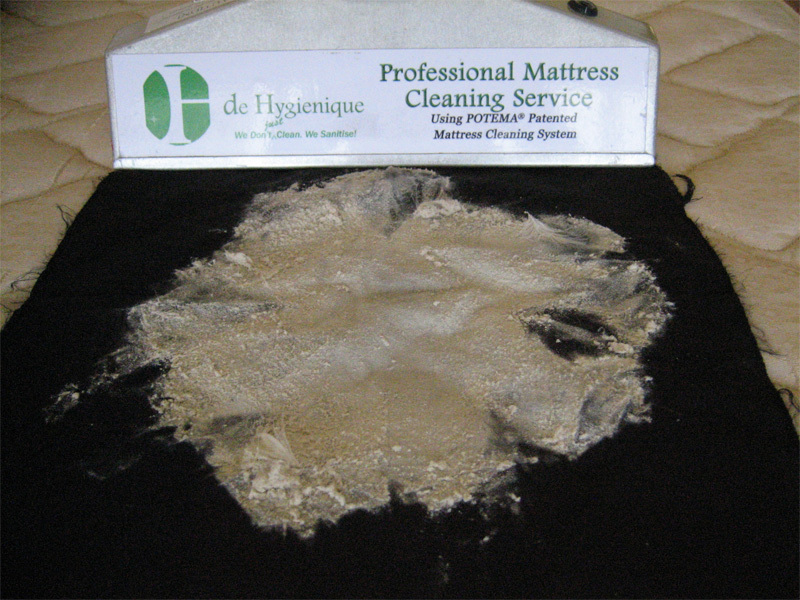 Why De Hygienique’s Mattress Cleaning Treatment? De Hygienique’s mattress cleaning treatment uses cleaning technology specially designed and manufactured for mattress cleaning which has been approved by leading mattress manufacturers and testified SAFE for cleaning most mattresses sold in the market. Our mattress cleaning treatment does not use moisture or chemical, so your mattress remains dry during and after mattress cleaning treatment is completed. 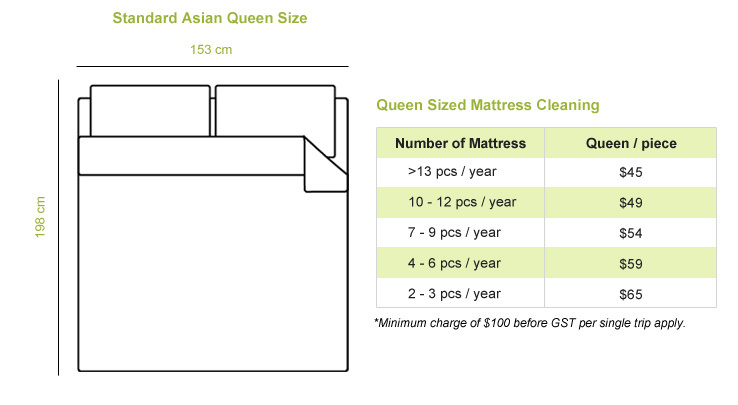 Most importantly, you can sleep on the mattress immediately after mattress cleaning is completed. 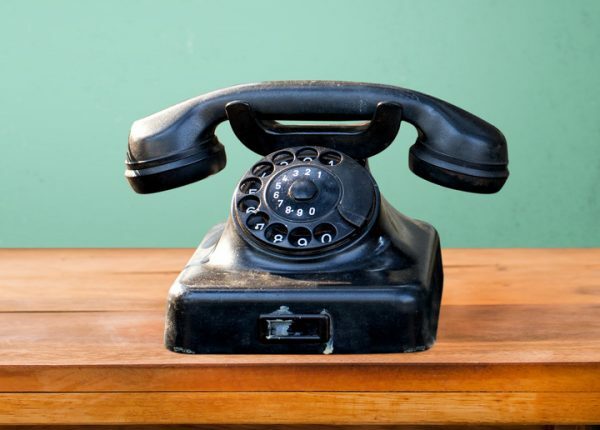 No fuss, and totally convenient! De Hygienique’s mattress cleaning treatment cleans mattress without using any moisture or chemical thus there will be no chemical residue left in the mattress after cleaning is completed. Our treatment is safe for both adult and babies. De Hygienique’s mattress cleaning treatment is proven to clean mattress thoroughly, remove dust, decomposing dead skin flakes, body fluid residue, dust mites and excrements, and other micro organisms that are embedded in the mattress. Our mattress cleaning treatment is recommended by doctors to assist in allergy management such as asthma, eczema, rhinitis as allergic patients are often sensitive to dust and dust mites. 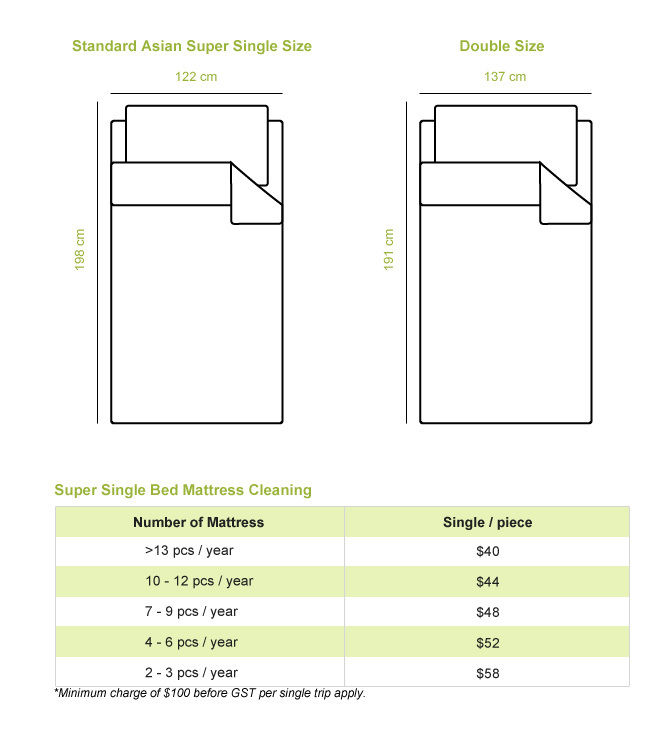 Our mattress cleaning service treatment in Singapore has also received the highest rating by Simply Her Magazine’s road test in 2011..
How Does De Hygienique Clean Mattress? During De Hygienique’s mattress cleaning treatment, the mattress will undergo a pulverization process where the embedded clumped up dirt will be vibrated into finer particles which will then be extracted into tightly woven HEPA filter bag. During the cleaning treatment, the mattress will be sanitized using an in-built UV-C light that was specially designed for the purpose to disinfect the mattress. Finally the cleaned mattress will be sanitized again with a chemical safe solution that will help delay the re-infestation of dust mites in the mattress. 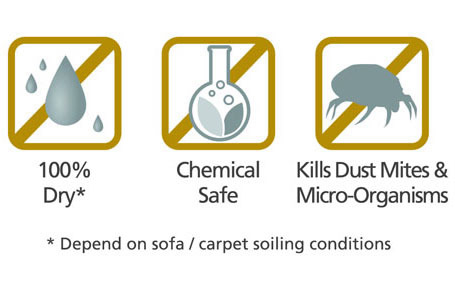 Learn more about our Odour Removal Treatment and Mattress Stain Removal Treatment. Contact us today for more information on our award winning mattress hygiene treatment! De Hygienique’s Award Winning DRY mattress cleaning treatment thoroughly remove and eliminate embedded dirt within the mattress that includes dust, dead skin flakes, dust mites and their faces, mold, fungi, etc, without wetting the mattress. 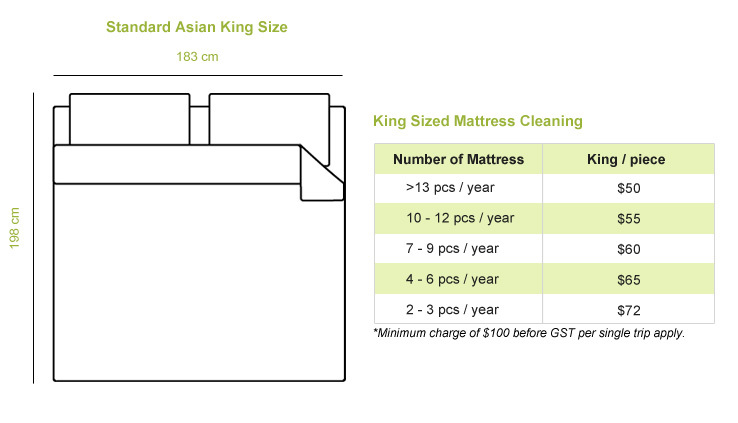 Your mattress can be used immediately after mattress is completely cleaned and sanitized.